"Che" Guevara helped cement Fidel Castro's political beliefs. 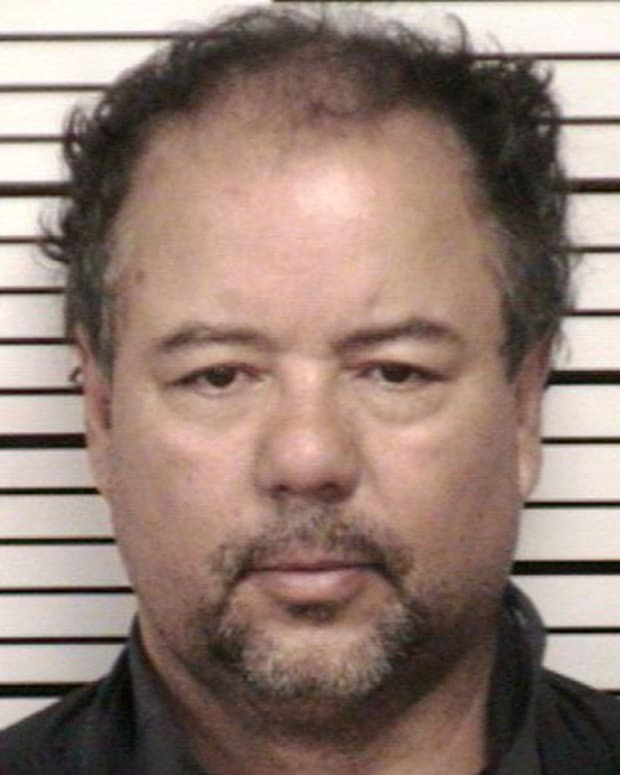 Castro is believed to have at least nine children. Castro removed opposition to his rule though executions and imprisonments, as well as through forced emigration. Cuban dictator Fidel Castro was born near Birán, Cuba, in 1926. Beginning in 1958 Castro and his forces began a campaign of guerrilla warfare which led to the overthrow of Cuban dictator Fulgencio Batista. As the country&apos;s new leader, Castro implemented communist domestic policies and initiated military and economic relations with the Soviet Union that led to strained relations with the United States. The tension between the U.S. and Cuba culminated in the 1962 Cuban Missile Crisis. Under Castro, improvements were made to healthcare and education, while he maintained a dictatorial control over the country and brutally persecuted or imprisoned anyone thought to be enemies of the regime. Thousands of dissidents were killed or died trying to flee the dictatorship. Castro was also responsible for fomenting communist revolutions in countries around the world. However, the 1991 collapse of communism in the Soviet Union and its negative impact on Cuba&apos;s economy led Castro to relax some restrictions over time. In failing health, Fidel Castro officially handed over power to his brother Raúl Castro in 2008, but still wielded some political influence in Cuba and abroad. Fidel Castro died in 2016 at the age of 90. Fidel Castro died on November 25, 2016 at the age of 90. His brother and successor Raúl Castro made the announcement of his death on Cuban state television. Although there is no official count, Castro is believed to have fathered at least nine children. With his first wife Martina, he had a son Fidel ("Fidelito"), who reportedly committed suicide in February 2018 after a battle with depression. Castro and his second wife, Dalia Sota del Valle, had five more sons. He also had three other children (two daughters and one son) from three separate women. In a dramatic announcement, on July 31, 2006, Castro designated his brother Raúl as the country&apos;s temporary leader due to his failing health. 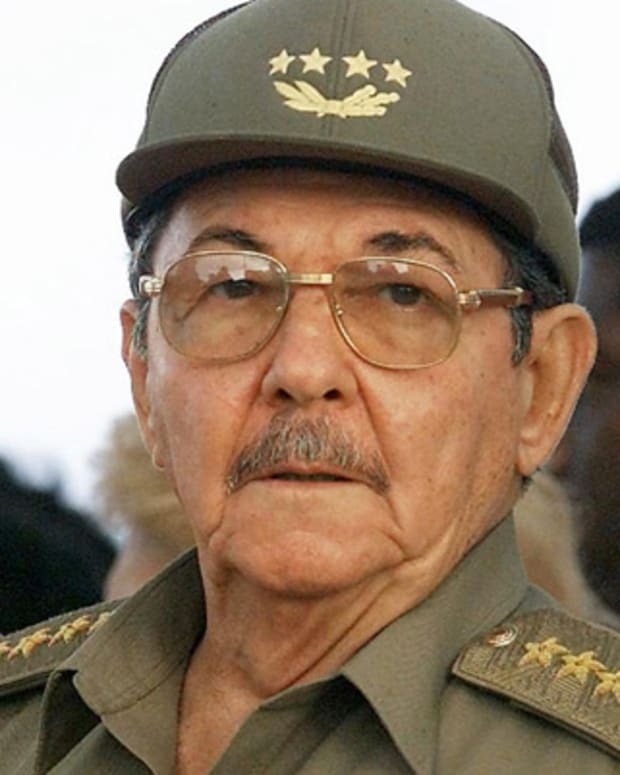 Raúl had served as Castro&apos;s second in command for decades and had been officially selected as his successor in 1997. Two years later, Castro permanently gave up the Cuban presidency and handed over power to Raúl, who was 76 years old at the time. Fidel Alejandro Castro Ruz was born on August 13, 1926, near Birán, in Cuba&apos;s eastern Oriente Province. He was the third of six children, including his two brothers, Raúl and Ramón; and three sisters, Angela, Emma and Agustina. His father, Ángel, was a wealthy sugar plantation owner originally from Spain who did most of his business with the American-owned United Fruit Company, which dominated the agriculture in that region at the time. His mother, Lina Ruz González, had been a maid to Ángel&apos;s first wife, Maria Luisa Argota, at the time of Fidel&apos;s birth. By the time Fidel was 15, his father dissolved his first marriage and wed Fidel&apos;s mother. At age 17, Fidel was formally recognized by his father and his name was changed from Ruz to Castro. Educated in private Jesuit boarding schools, Castro grew up in wealthy circumstances amid the poverty of Cuba but was also imbued with a sense of Spanish pride from his teachers. From an early age, Castro showed he was intellectually gifted, but he was also something of a troublemaker and was often more interested in sports than studies. He attended Colegio Dolores in Santiago de Cuba and then El Colegio de Belén in Havana, where he pitched for the school&apos;s baseball team as well as played basketball and ran track. After his graduation in late 1945, however, Castro entered law school at the University of Havana and became immersed in the climate of Cuban nationalism, anti-imperialism and socialism, focusing his energies more exclusively on politics. By 1947, Castro had become increasingly passionate about social justice and he traveled to the Dominican Republic to join an expedition attempting the overthrow of the country&apos;s dictator, Rafael Trujillo. Though the coup failed before it got started, the incident did little to dampen Castro&apos;s passion for reform, and he traveled to Bogotá, Colombia, the following year to participate in the anti-government rioting there. In 1947, Castro also joined the Partido Ortodoxo, an anticommunist political party founded to reform government in Cuba. Its founder, Cuban presidential candidate Eduardo Chibás, lost the 1948 election but inspired Castro to be an ardent disciple. He pledged to expose the government&apos;s corruption and warn the people about General Fulgencio Batista, himself a former president, who was plotting a return to power. However, Chibás&apos; efforts were cut short after his supposed allies refused to provide evidence of government wrongdoing. In August 1951, Chibás shot himself during a radio broadcast. Meanwhile, Castro had married Mirta Díaz Balart, who was from a wealthy political family in Cuba. They had one child, named Fidel, in 1949. The marriage exposed Castro to a wealthier lifestyle and political connections. At the same time, however, he developed an interest in the work of Karl Marx and became intent on running for a seat in the Cuban congress. But in March 1952 a coup led by General Fulgencio Batista successfully overthrew the government and the upcoming election was cancelled, leaving Castro without a legitimate political platform and little income with which to support his family. 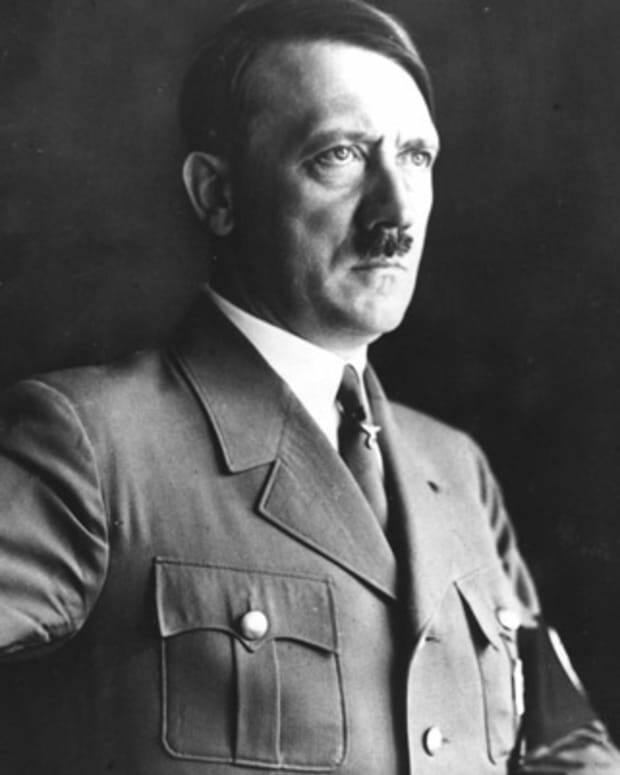 Batista set himself up as dictator, solidified his power with the military and Cuba&apos;s economic elite and had his government recognized by the United States. In response, Castro and fellow members of the Partido Ortodoxo organized a group they called "The Movement" and planned an insurrection. 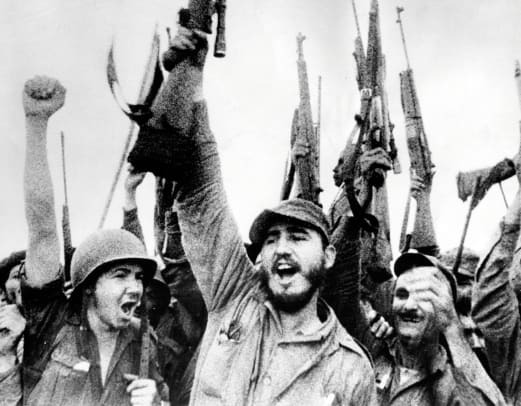 On July 26, 1953, Castro and approximately 150 supporters attacked the Moncada military barracks outside of Santiago de Cuba in an attempt to overthrow Batista. However, the attack failed and Castro was captured, tried, convicted and sentenced to 15 years in prison. His brother Raúl was also among those imprisoned. While incarcerated, Castro renamed his group the "26th of July Movement" and continued to coordinate its activities through correspondence. He and his compatriots were ultimately released in 1955 under an amnesty deal with the Batista government, and he traveled with Raúl to Mexico, where they continued to plan their revolution. 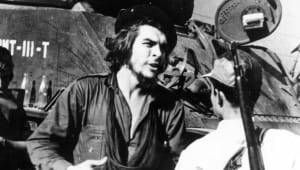 In Mexico, Castro met with other Cuban exiles, as well as the Argentinian rebel Ernesto "Che" Guevara, who believed that the plight of Latin America&apos;s poor could be rectified only through violent revolution. 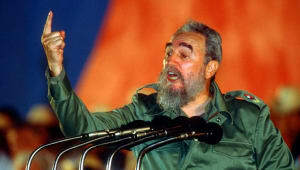 He joined Castro&apos;s group and became an important confidante, helping to shape Castro&apos;s political beliefs. On December 2, 1956, Fidel Castro returned to Cuba aboard the boat Granma with little more than 80 insurgents and a cache of weapons near the eastern city of Manzanillo. In short order, Batista&apos;s forces killed or captured most of the attackers. 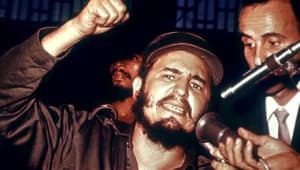 But Castro, Raúl, Guevara and a handful of others were able to escape into the Sierra Maestra mountain range along the island&apos;s southeastern coast. Over the course of the next two years, Castro&apos;s steadily growing forces waged a guerrilla war against the Batista government, organizing resistance groups in cities and small towns across Cuba. Castro was also able to organize a parallel government, carry out some agrarian reform and control provinces with agricultural and manufacturing production. Beginning in 1958, Castro and his forces mounted a series of successful military campaigns to capture and hold key areas throughout Cuba. Combined with a loss of popular support and massive desertions in its military, Batista&apos;s government finally collapsed under Castro&apos;s efforts, and in January 1959, Batista himself fled to the Dominican Republic. At the age of 32, Castro had successfully concluded his guerrilla campaign to take control of Cuba. A provisional government was quickly created, with Manuel Urrutia installed as president and José Miró Cardona as prime minister. It quickly gained the recognition of the United States, and Castro himself arrived in Havana to cheering crowds and assumed the post of commander-in-chief of the military. In February 1959, Miró suddenly resigned, and Castro was sworn in as Cuba&apos;s prime minister. Meanwhile, hundreds of members of Batista&apos;s government were tried and executed. Castro implemented far-reaching reforms by nationalizing factories and plantations in an attempt to end U.S. economic dominance on the island. Among these reforms, it was announced that the new government would base compensation to foreign companies on the artificially low property values that the companies themselves had negotiated with past Cuban governments in order to keep their taxes low. American companies soon felt the negative effects of such measures, leading to a significant strain in relations between the Cuba and the United States. During this time, Castro repeatedly denied being a communist, but to many Americans, his policies closely resembled a Soviet-style control of both the economy and government. In April 1959, Castro and a delegation visited the United States as guests of the National Press Club. 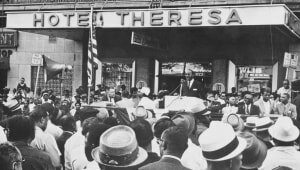 Castro hired a renowned public relations firm to help promote his tour, but President Dwight Eisenhower, refused a meeting with him. That May, Castro signed the first Agrarian Reform Act, which limited the size of land holdings and forbade foreign property ownership. On the surface, the intent was to develop a class of independent farmers. In reality, this program led to state land control, with the farmers becoming mere government employees. By the end of 1959, Castro&apos;s revolution had become radicalized, with purges of military and government leaders — including President Urrutia — and the suppression of any media critical of Castro&apos;s policies. Castro&apos;s government also began to establish relations with the Soviet Union. 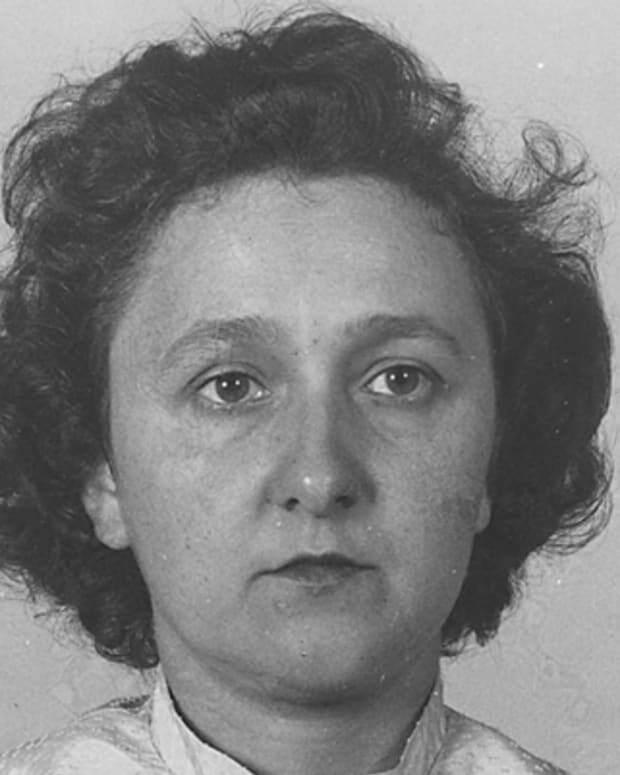 The USSR sent more than 100 Spanish-speaking advisers to help organize Cuba&apos;s defense committee. In February 1960, Cuba signed a trade agreement to buy oil from the Soviet Union and established diplomatic relations. When U.S.-owned refineries in Cuba refused to process the oil, Castro expropriated them, and the United States retaliated by cutting Cuba&apos;s import quota on sugar, thus beginning what would become a decades-long contentious relationship between the two countries. The year 1961 proved to be pivotal in Castro&apos;s relationship with the United States. 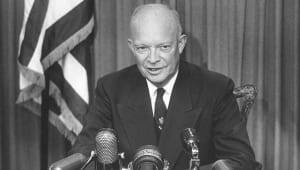 On January 3, 1961, outgoing president Dwight Eisenhower broke off diplomatic relations with the Cuban government. On April 14th, Castro formally declared Cuba a socialist state. Three days later, some 1,400 Cuban exiles invaded Cuba at the remote Bay of Pigs in an attempt to overthrow the Castro regime. The incursion ended in disaster, with hundreds of the insurgents killed and more than 1,000 captured. Though the United States denied any involvement, it was revealed that the Cuban exiles had been trained by the Central Intelligence Agency and armed with American weapons. 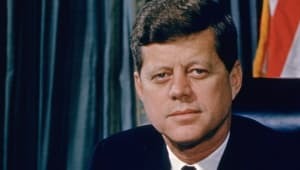 Decades later, the National Security Archive revealed that the United States had begun planning an overthrow of the Castro government as early as March 1959. 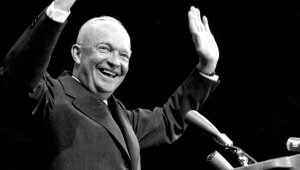 The invasion was conceived during the Eisenhower administration and inherited by President John F. Kennedy, who reluctantly approved its action but denied the invaders air support in the hopes of concealing a U.S. role in the effort. Castro, in turn, was able to capitalize on the incident to consolidate his power and further promote his agenda. On May 1st he announced an end to democratic elections in Cuba and denounced American imperialism. Then at year&apos;s end, Castro declared himself a Marxist-Leninist and announced the Cuban government was adopting communist economic and political policies. On February 7, 1962, the United States imposed a full economic embargo on Cuba. In the wake of the Bay of Pigs incident, Castro intensified his relations with the Soviet Union by accepting further economic and military aid. 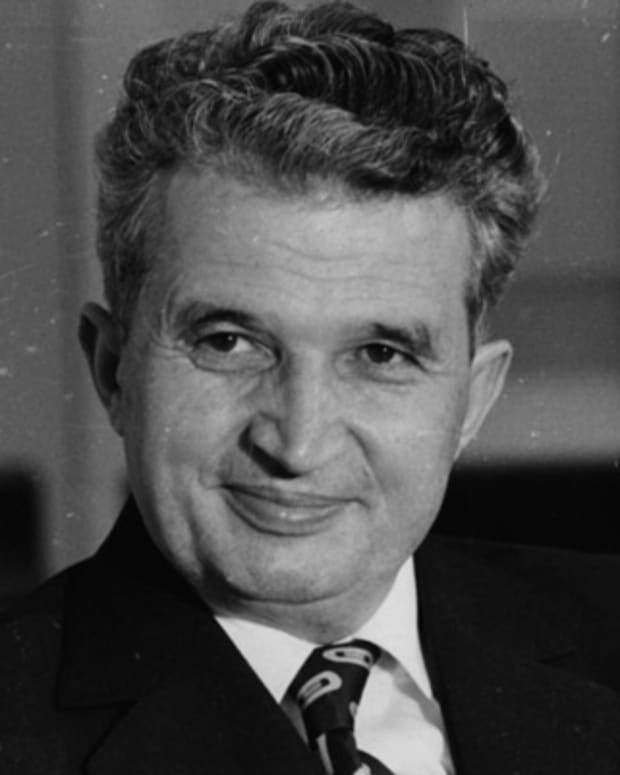 In October 1962, his increasing reliance on Soviet support brought the world to the brink of nuclear war. Hoping to deter another U.S. invasion of Cuba, Castro and Soviet Premier Nikita Khrushchev conceived the idea of placing nuclear missiles in Cuba, just 90 miles off the coast of Florida. Khrushchev justified the move as a response to U.S. Jupiter missiles that had been deployed in Turkey. 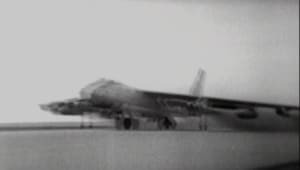 However, an American U-2 reconnaissance plane discovered the base construction before the missiles were installed and President Kennedy responded by demanding the removal of the missiles, with orders for the U.S. Navy to search any vessels headed for the island. 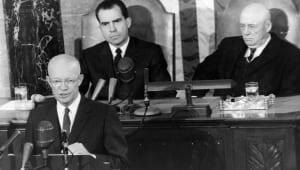 Over 13 anxious days of secret communications between Khrushchev, Kennedy and their agents, the Soviets agreed to remove the missiles in exchange for the United States&apos; public agreement not to invade Cuba. The Kennedy administration also agreed to secretly remove the Jupiter missiles from Turkey. Both leaders saved face and gained some admiration for restraint. Castro, on the other hand, was humiliated: Both superpowers had completely left him out of the negotiations. Furthermore, the United States was able to persuade the Organization of American States to end diplomatic relations with Cuba, in response to Castro&apos;s "shameful" actions. But Castro wasn&apos;t shamed for long. 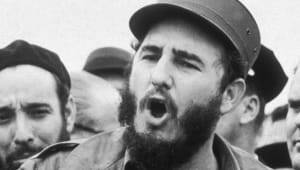 In 1965, he merged Cuba&apos;s Communist Party with his revolutionary organizations, installing himself as head of the party. Within a few years, he began a campaign of supporting armed struggle against imperialism in Latin American and African countries. In January 1966, Castro founded the Organization for Solidarity with the Peoples of Asia, Africa, and Latin America to promote revolution and communism on three continents. In 1967, he also formed the Latin American Solidarity Organization to foster revolution in select Latin American countries. In the 1970s, Castro continued to promote himself as the leading spokesperson for Third World countries by providing military support to pro-Soviet forces in Angola, Ethiopia and Yemen. Though Cuba was still heavily subsidized by the Soviet government during this period, those expeditions ultimately proved unsuccessful and put a strain on the Cuban economy. Meanwhile, the U.S. agreement not to invade Cuba had not precluded attempting to topple the Castro regime in other ways. 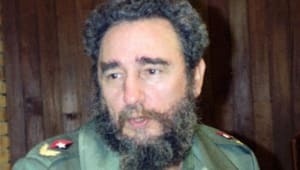 Over the years, Castro was the target of numerous CIA assassination attempts (an estimated 638 in all, according to Cuban intelligence), ranging from exploding cigars to a fungus-infected scuba-diving suit to a mafia-style shooting. Castro took great delight in the fact that none of the attempts ever succeeded and was quoted as saying that if avoiding assassination attempts was an Olympic sport, he would have won gold medals. Castro&apos;s regime has been credited with opening 10,000 new schools and increasing literacy to 98 percent. Cubans enjoy a universal healthcare system, which has decreased infant mortality to 11 deaths in 1,000 (1.1 percent). 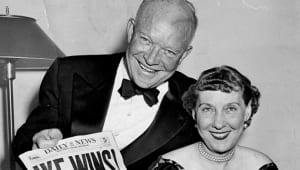 But at the same time, civil liberties were whittled away, as labor unions lost the right to strike, independent newspapers were shut down and religious institutions were harassed. Castro removed opposition to his rule though executions and imprisonments, as well as through forced emigration. Though there are no exact numbers, the Cuba Archive estimates that tens of thousands were murdered, with a documented 5,600 killed by firing squads alone. Even more Cubans were killed by state forces when they tried to flee the country, which occurred during the 1980 Canimar River Massacre and the Tugboat Massacre of 1994. During Castro&apos;s rule, hundreds of thousands of Cubans fled the country, many settling just across the Florida Straits in Miami. The largest of these exoduses occurred in 1980, when Castro opened up the port of Mariel to allow exiled Cubans living in Miami to come claim their relatives. Upon their arrival, Castro also loaded the ships with Cuban prison inmates and mentally ill people. In all, nearly 120,000 Cubans left their homeland in 1980 to find sanctuary in the United States. After the 1991 collapse of the Soviet Union sent Cuba&apos;s economy into a tailspin, Castro&apos;s revolution began to lose momentum. Without cheap oil imports and an eager Soviet market for Cuban sugar and other goods, Cuban unemployment and inflation grew. The contraction of the Cuban economy resulted in 85 percent of its markets disappearing. Yet Castro was very adept at keeping control of the government during dire economic times. He pressed the United States to lift the economic embargo, but it refused. Castro then adopted a quasi-free market economy and encouraged international investment. 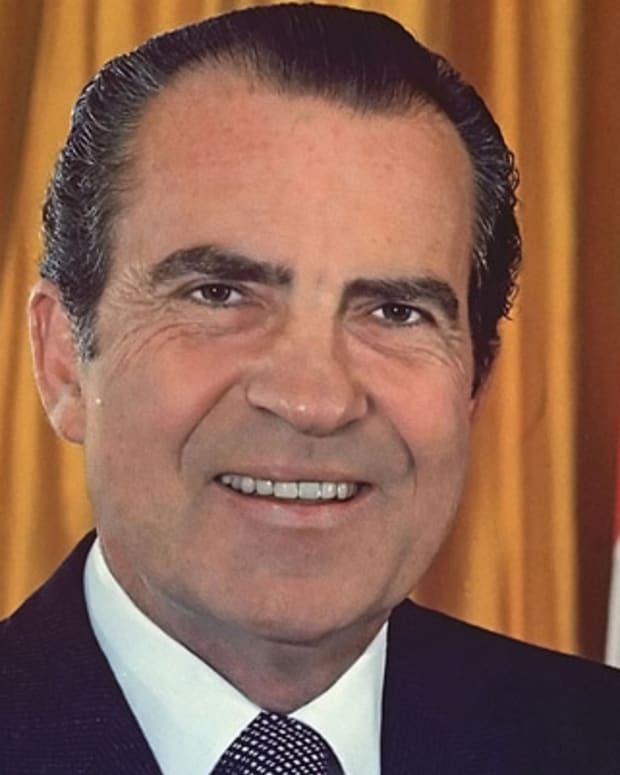 He also legalized the U.S. dollar and encouraged limited tourism, and in 1996 he visited the United States to invite Cuban exiles living there to return to Cuba to start businesses. In 2001, after massive damage was caused by Hurricane Michelle, Castro declined U.S. humanitarian aid but proposed a one-time cash purchase of food from the United States. George W. Bush&apos;s administration assented and authorized the shipment. With the fuel supply running dangerously low, Castro ordered 118 factories to be closed and sent thousands of Cuban doctors to Venezuela in exchange for oil imports. 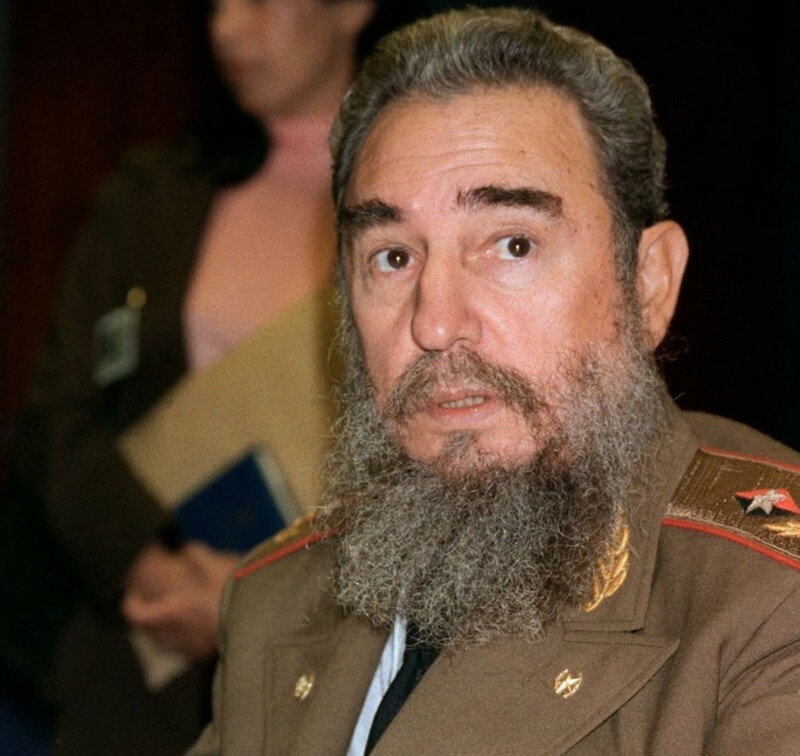 In the late 1990s, speculation began to arise over Castro&apos;s age and well-being. Numerous health problems had been reported over the years, the most significant occurring in 2006, when Castro underwent surgery for gastrointestinal bleeding. In a dramatic announcement, on July 31, 2006, Castro designated his brother Raúl as the country&apos;s temporary leader. Raúl had served as Castro&apos;s second in command for decades and had been officially selected as his successor in 1997. Following Fidel Castro&apos;s surgery, his only appearances were in photographs and video recordings of meetings. 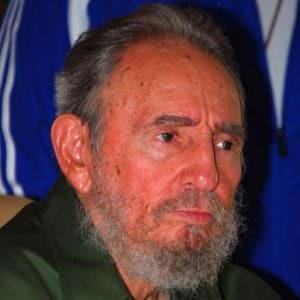 On February 19, 2008, 81-year-old Fidel Castro permanently gave up the Cuban presidency due to his deteriorating physical condition. 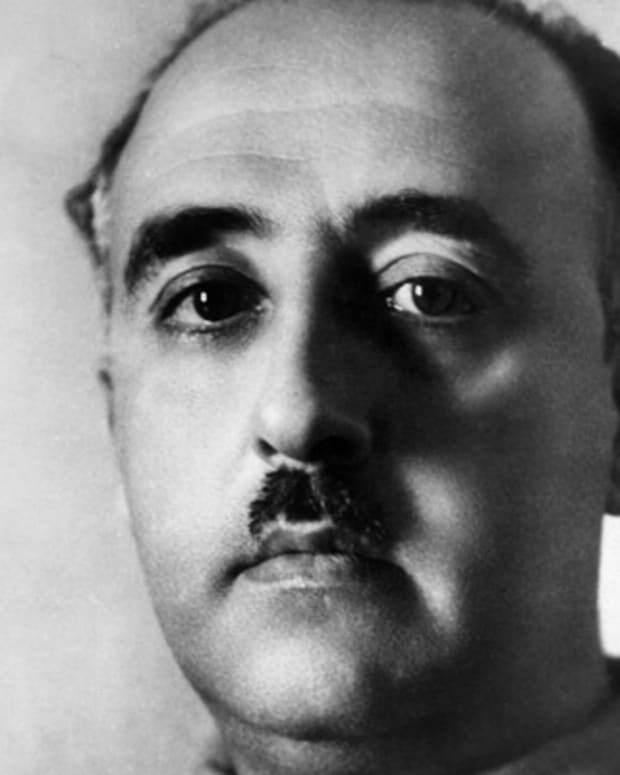 He handed over power to Raúl, who was 76 years old at the time. The Cuban National Assembly officially elected Raúl Castro as president of Cuba the same month, although Fidel Castro reportedly remained first secretary of the Communist Party. In April 2011, news broke that Fidel Castro officially stepped down from his role within Cuba&apos;s Communist Party. Raúl Castro easily won election as the party&apos;s new first secretary, taking over for his brother and choosing famed revolutionary José Ramón Machado Ventura to serve as the party&apos;s second in command. Fidel Castro claimed that he had actually resigned the post five years earlier. In his retirement, Castro began writing a column about his experiences and opinions, called "Reflections of Fidel," and in 2007 his autobiography My Life was published. From mid-November to early January of 2012, however, Castro failed to publish any columns. This sudden silence sparked rumors that Castro had taken a turn for the worse. But these stories soon proved to be unfounded, as Castro put out a flurry of articles later that January. Though not involved in the day-to-day affairs of running Cuba, Fidel Castro still maintained a certain degree of political influence both at home and abroad. He continued to meet with foreign leaders, such as Iran&apos;s Mahmoud Ahmadinejad in 2012, during their visits to Cuba. Pope Benedict arranged a special audience with Castro at the end of his trip in March 2012, seeking to obtain greater religious freedom for Catholics living in the communist nation, and in September 2015 Pope Francis met privately with Castro as well. However, when Barack Obama became the first sitting American president to visit Cuba in almost 90 years, he did not meet with Fidel Castro, who later denounced the goodwill mission in his column, citing a mistrust of U.S. motivations and writing, "We don&apos;t need the empire to gift us anything." Following Castro’s death on November 25, 2016, Cuba declared nine days of mourning. Thousands of Cubans lined up to pay tribute to their leader at a memorial at the Plaza de la Revolución in Havana where he had delivered many speeches throughout his rule. On November 29, Raúl Castro led a massive rally which was attended by leaders of ally nations including Nicolas Maduro of Venezuela, Evo Morales of Bolivia, Jacob Zuma of South Africa and Robert Mugabe of Zimbabwe. Tens of thousands of Cubans attending the rally chanted “Yo Soy Fidel” (I Am Fidel) and “Viva Fidel!” (Long Live Fidel). While there was mourning in Havana, Cuban exiles around the world celebrated the death of the man they believed was a tyrant, who was responsible for killing and imprisoning thousands of Cubans, and separating generations of families. A motorcade carrying Castro’s ashes in a Cuban-flag draped casket was driven across the country to Santiago de Cuba. On December 4th, 2016, Castro&apos;s remains were buried at the Santa Ifigenia Cemetery in Santiago, near the burial site of Cuban poet and independence leader José Martí. 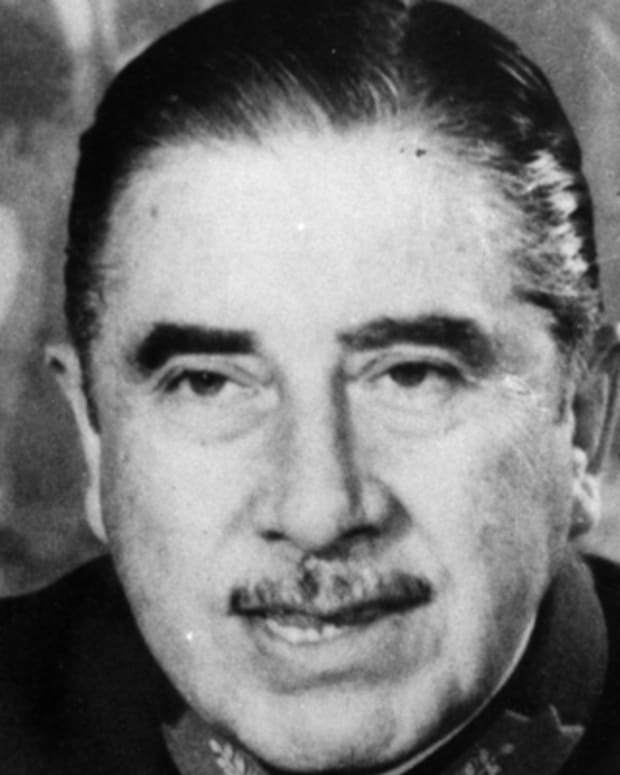 Chilean dictator Augusto Pinochet overthrew the Allende government in 1973 and stayed in power until 1998. He was never tried for alleged human rights abuses. 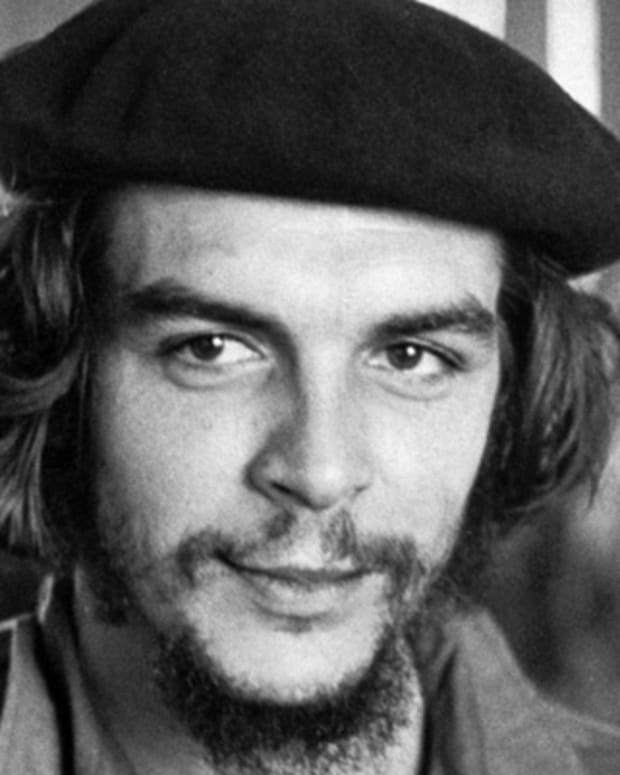 Che Guevara was a Marxist revolutionary allied with Fidel Castro during the Cuban Revolution.